Mesa City Band: A Christmas favorite! Serving the East Valley from 1900 to the present. One of our favorite Christmas pieces, by Ed Huckeby. This is not our group - it is difficult to get good recordings of our live performances - but we are also awesome! 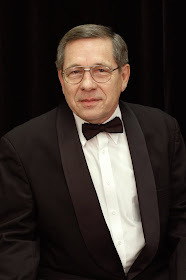 If you are an amateur musician seeking a rewarding musical experience, contact Larry Baedke, the director, who determines any openings in the Band. The band rehearses weekly on Wednesday evenings in the band room at Carson Jr. High. The Mesa City Band presents concerts throughout the East Valley at a wide variety of private and public events. Copyright (c) 2008 Mesa City Band. Any use of information or photos from this site is strictly prohibited without written consent of the Mesa City Band.